Challenge #02001-E177: Ghosts... In... Space! In an infinite universe, all things are possible. The nature of time and events therein is cyclical. Of those tautologies, spaceport stories are made. This one just happens to come with documentation. They were light years from civilisation, of course and without an accurate means of contacting anyone, of course. Because nothing interesting happens in the middle of civilisation with access to a rapid response team. They were supposed to be charting EM frequencies from a peculiar star when it turned up. "It's... it's," Flaxxyn fumbled for a definition that could be verified with sensors and failed. "It's green." And it was. It was also an ancient seafaring vessel from the days of sail and entirely see-through. It was staffed by a literal skeleton crew. Steered by a skeleton in a fancier hat and an impressive beard, despite the fact that there was no skin for it to remain there. 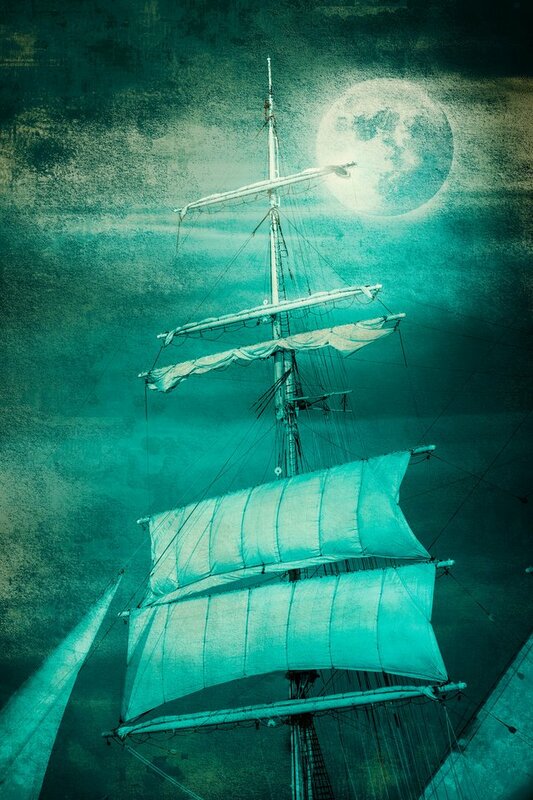 A ghost ship. Plying the endless seas of the eternal night. They recorded it with everything they had, of course. Including the visual spectrum cameras. Many did not produce definable results, except for the visual one. Which did, indeed, record a ship of ghosts. Some of the skeletons waved at them from the rigging. It passed by their ship, travelling at roughly seventy four kliks per hour. And then went on into the darkness until it was no longer visible. Those Havenworlders in the crew had to take an interesting drug cocktail just to survive the shock of the encounter, and could only approach the resultant data in small doses of ten minutes or less. In all of known space, the answer came from some Humans in the Edge Territories, who identified the vessel in less than a second. "That's the Flying Dutchman," one of the Humans exclaimed. "She must have followed us out." An infinite universe is stranger than you might wish to believe. One thousand Standard Distance Units. This is, as you can no doubt tell, a human abbreviation that has dominated GalStand.